Did you know that by using option Credit Spreads, you will be putting to work the option greek called theta, otherwise known as 'time decay'. Theta decay is your trading ally and in this case, gives you an 80 percent trading edge! The Stock Market is one of the largest markets in the world, so it is going to be around for a long time. This means that if we can master a few strategies that bring consistent profits, it is not inconceivable that we could set ourselves up with a reliable income stream. The fact is, one of the most profitable skills we can ever master, is the skill of option trading. There are many option trading strategies "out there" such as strangles, straddles, bullish call debit spreads, , ratio backspreads, calendar spreads and credit spreads. In this article, I would like to focus on the superior advantages of option Credit Spreads. 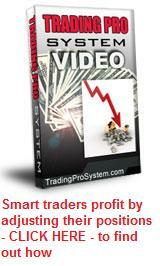 With the flexibility and power of this strategy, you can safely trade options for the rest of your life. 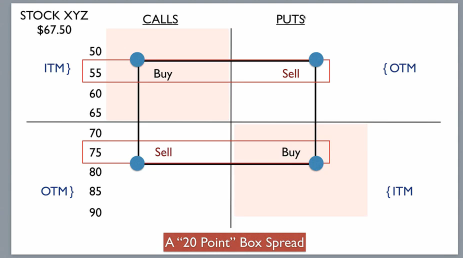 What Are Option Credit Spreads? They are called such because when they are created, they put a "credit" into your trading account, as opposed to a "debit" (withdrawal) which normally occures when you are paying for a stock or its derivative. If, by the time the options in the credit spread expire, the share price hasn't breached a certain level, you get to keep the "credited" funds. The reason it creates a credit and not a debit, is because you're SELLING an option at a strike price which is closer to the current market price of the underlying security, but so that you don't leave yourself too exposed to risk, you limit your risk by BUYING the same number of option contracts at a strike price further away, both having the same expiration date. The "sold" options, being closer to "the money" (i.e. current underlying asset price), are more valuable than the "bought" options and so you receive a credit. The trick here, is to open the spread with a short time to expiration date, thus taking advantage of the "time decay" factor in options. Options have a time decay factor built into their price calculation which increases exponentially the closer the expiration date approaches, so creating a credit spread with a maximum 4-6 weeks to expiration is where we want to be. 1. The amount of credit you will receive compared to the risk in the credit spread. 2. Whether there is room for an adjustment, should the price action go against you. So Why Are Option Credit Spreads so Advantageous? A side ways move - i.e. in a given time frame, the market price "goes practically nowhere" or before that timeframe expires, returns to its original point. If you've opened one of these spreads, the market can move any four of the above five ways and you make a profit. Even if the unfortunate happens and that unlucky "fifth" way occurs, you can act to either delay your profit, by "rolling out" or "rolling out-and-down" your positions to a later expiration date and/or lower strike prices, waiting for the market to return to a profitable position - or sometimes if the new market direction is evident (lower highs confirmed) and you are onto it early enough, you can buy back your sold option and still make enough on the bought option to either break even or make a small profit. You could even sell a call option credit spread in the meantime. This is why Option Credit Spreads are so advantageous. Firstly, 80% (4 out of 5) of market movement is in your favour; Secondly, even if that unlucky 20% hits you, you can still come out unscathed or even profitable. There are some factors you need to take into consideration. Money Management - don't put all your eggs in one option spread basket. Divide your capital up into at least 5 portions (preferably 7) and only risk that portion on any one trade. Risk Management - with these spreads, your total risk will be the difference between the strike prices, less the credit you receive. So if your strike price difference is $1.00 (e.g. 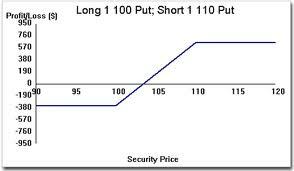 you sell a $20 put option and buy a $19 put option) and the share price drops to say $18, the most you can lose is $1 x No. shares x No. contracts - less your original credit. This being the case, you will want to pay attention to the amount of credit you are receiving vs the risk. You should look for at least 20% which in our case just mentioned, would be 20 cents (the risk being $1). Share Direction - this is not as hard as it appears. You simply look at charts for shares which have options. Most shares over a longer time frame, will "channel" i.e. they will bounce back and forth between two parallel lines. Find these lines, determine where your shares are within that pattern and when they reach the extremities of the channel, take out your credit spread. Alternatively, you can look for price consolidation around "support" and "resistance" levels. Where resistance has become support beforehand, the likelihood of a bounce northward is particularly strong. More about this in our stock chart analysis section. If you've paid attention to Money and Risk Management above, you're sure to profit. Did You Know That You Can Make a Good Living Using Option Credit Spreads, once you learn the art of adjusting your positions?